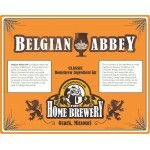 All great beers have two things in common: the finest brewing ingredients and the best beer recipes. 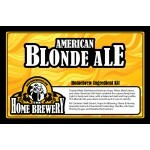 The Home Brewery's Ingredient Kits have both! With freshness and quality in mind, we produce all of our kits on demand. We want you to make great beer the first time and every time. 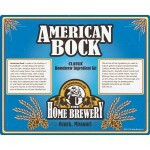 Our beer brewing kits come with complete instructions that are easy to read and follow. They contain all the ingredients you will need to produce five gallons of great home brewed beer that you will be able to serve with pride. Basic Extract Recipe Ingredient Kits include: Dry Malt Extract, Specialty Grains, Hops, Yeast, Clarifier, and Priming Sugar (for carbonating). 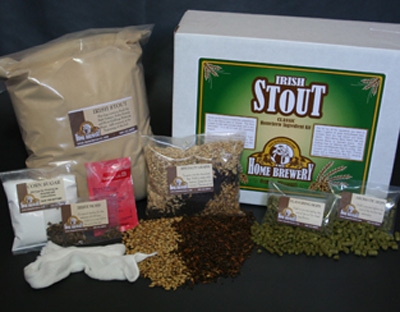 These beer kits are so easy to make that even a first-time brewer can brew a great beer with one of these kits, but the quality and convenience keep even experienced brewers coming back for more. 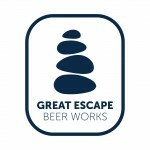 Great Escape DIY IPA Extract Ingredient Kit From the head brewer at Great Escape Brewery in Sprin..
2018 Winter Seasonal Ingredient Kit - Toasted Oatmeal Stout As cooler weather approaches, turn yo.. 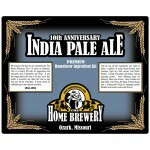 Designed for our 10th Anniversary in 1994, this classic India Pale Ale is a keeper. 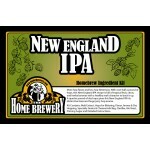 Our IPA brewing .. 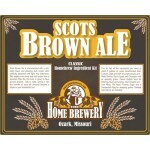 Malt is king in any Scottish Ale, and our malt beer one is no exception. 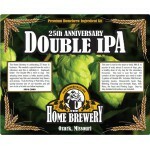 This 20th anniver..
We needed a special brew for our 25th anniversary, and this double IPA recipe is definitely it. Hoph.. 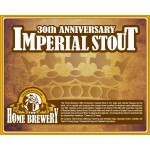 The Home Brewery’s 30th Anniversary Imperial Stout is rich, deep and intense! 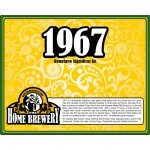 Opaque and jet black, ..
1967 is a fantastically refreshing, light golden brew spiked with citrus flavor from the Lemon Peel ..
Toasted Malt, Northwest American Hops, Pilsen Extract, and clean American Yeast combine for quenchin..
A lighter twist on the bock style. 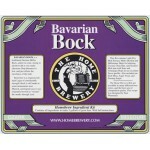 Lighter in body than a traditional bock, but not a light be.. 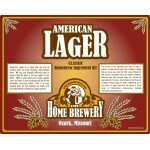 This American Lager brewing kit honors the 100-year American brewing tradition. 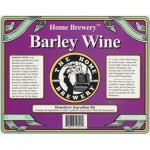 This is good America..
Barleywine is the strongest possible beer style. There are no firm rules about what goes into .. 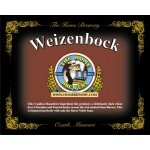 This is a traditional German Helles Bock, amber in color, strong in alcohol with a very malty charac.. 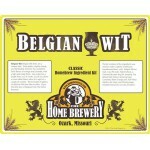 This style showcases a rich palate of chocolate and caramel malt flavors, as well as a beguiling com..
A fresh, crisp wheat beer with a unique Belgian twist. Additions of Coriander and Bitter Orange Peel..
Big Wheel Amber Ale has a crisp and toasty malt character, backed up with English hops to ..
Our Black IPA is a dark twist on an American IPA. 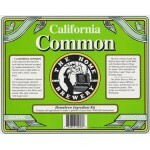 This beer boasts 52 IBUs and 3 ounces of Cascade a.. 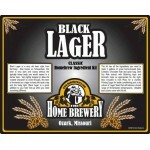 Otherwise known as Schwarzbier or "black beer". 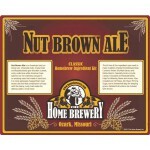 We use a small amount of chocolate malt to com..
A great recipe. 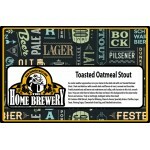 Light malt extract, Special Roast and just a touch of Roasted Barley, gives t.. 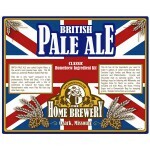 Among beer lovers and homebrewers alike, Pale Ale is the world's most popular beer style. This.. 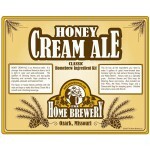 This famous beer style is light amber in color with a white, creamy head. 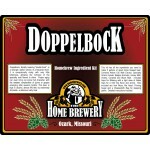 California Common is known..
Doppelbock, literally meaning "double bock", is a stronger, darker version of a Bavarian Bock. 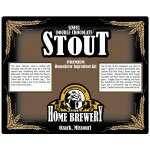 It is..
A Sinful Double Chocolate Stout. 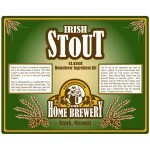 A dark and delicious stout loaded with chocolate malt and rea.. 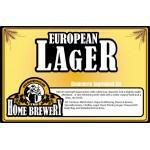 This Pilsner is light and crisp with a slightly malty aftertaste. A very refreshing beer style.. This is Germany's famous festival beer. 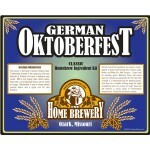 Our version of an Oktoberfest beer uses a blend of Lig.. 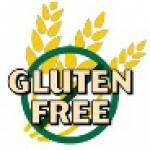 This Ale is the perfect choice for those looking for a Gluten free beer. 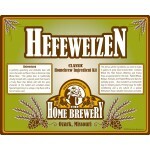 The wort is crafted from Wh..
Hefeweizen is perfectly quenching and drinkable for your summertime thirst. This Golden beer is trad.. 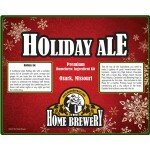 This is a traditional style Holiday Ale, with a rich smell full of pumpkin pie spice, orange an.. 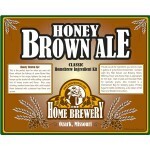 This is the perfect beer if you want rich flavor without the heavy body found in some brown ales. &n..
Light and crisp with just a hint of toasted barley for flavor and a refreshing hop bitterness. 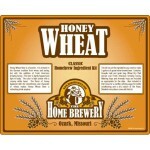 A ful..
Take a nice crisp wheat beer, throw in a full pound of fragrant wildflower honey and you have a wond.. 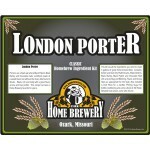 This Dry Stout is black in color with a brown head, and is very full-bodied. It has a rich mal.. Smooth, Lite, and Refreshing. Sometimes you just want to quench your thirst and don’t want something..
Porters are a black ale with loads of roasted flavor but without the sharp bite found in Stouts. 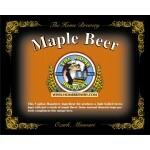 &nb..
We start with a smooth amber lager and add just the right amount of maple to give you a hint of mapl..
Get more hop flavor and less bitterness with our New England IPA kit. With over half a pound of.. 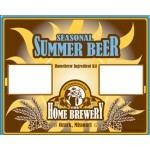 This is one of our favorite beer kits! 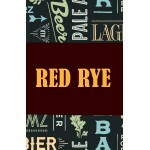 A malty brown ale perfectly balanced with Kent golding ..
A big malty rye beer with a beautiful garnet red color and a creamy tan head. The combination of fla.. 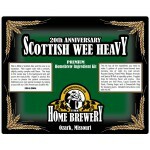 This is one of the deliciously malty brews of Scotland with much more color, flavor, and body than a..
Weizenbock is back by popular demand! 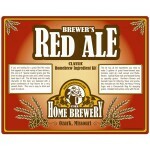 This was our Holiday Ale for 1999 and people couldn't ge.. 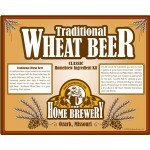 Traditional wheat beer recipe brewed from wheat and barley. Great as a refreshing drink in warm..